Begin by exploring the ancient history of Bagan, once the capital of the thriving Burmese empire in the 11-13th centuries. Downstream, explore the British colonial history in Salay and Magwe before commencing your upstream journey to Mandalay. Enjoy sitting back and watching the ever changing scenery pass by. Stop in Pakkoku and learn some traditional crafts, be immersed in the spiritual lives of the local nuns in Sagaing. Finally end your journey in Mandalay, the legendary town so well known in literature. Meet your tour director this morning at the your hotel at 08:00am. 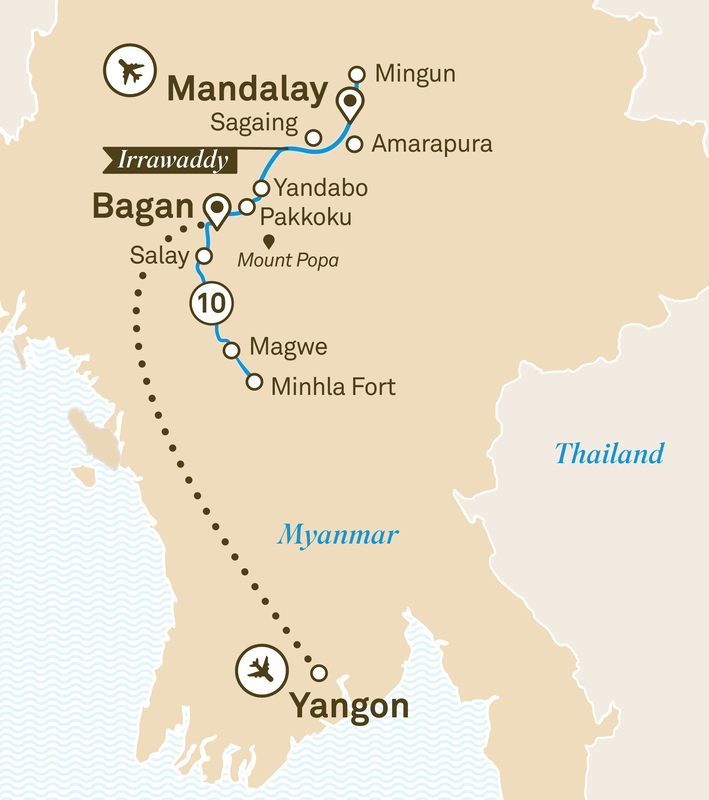 Transfer to the airport and fly to Bagan. On arrival enjoy a local lunch and then visit the Ananda Temple. Afterwards transfer to the luxurious Scenic Aura and relax at the welcome reception as you set sail. Please book flights to arrive by 6am. After disembarkation, admire the intricate artistry of Shwenandaw, a wooden monastery covered internally in gold leaf. Equally impressive are the sights at Kuthodaw Pagoda, home to the ‘World’s Largest Book’. Later walk through the rebuilt Mandalay Palace, destroyed during World War II. After lunch transfer to the airport or your hotel. Please book flights to depart after 4pm if you wish to attend all touring.